(Wall Street Journal) It is not often you hear stories on culinary victims on the current financial crisis. In Italy the government has decided a financial bail out package to save one of their iconic food products - the Parmigiano Reggiano. The manufacturing of this legendary Northern Italian cheese is time consuming. 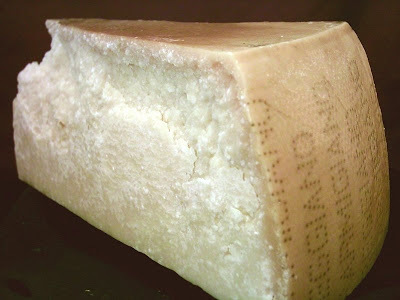 Even though the Parmigiano is revered and highly sought after, many manufacturers struggle to get ends meet. The Italian government has decided to pay for a culinary bail out. It will buy 100 000 whole cheeses and has asked the European Commission to pay the bill. Price tag 50 million Euros. The cheese will be given away under a EU welfare programme for the needy. More on this on this Wall Street Journal video clip.